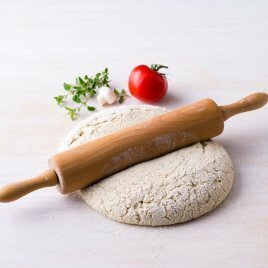 A fast and easy way to make your own pizza is to use prepared biscuits for the dough. Then just add your favorite toppings and you are almost done. This page contains biscuit pizza dough recipes. I have found that using two flour tortillas, with a little grated cheese spread between them, also serve as pizza dough for individual pizzas. You can use large tortillas for two or three persons. Another way to use the biscuits for pizza is to make mini-pizzas. My 24-year old daughter still remembers our "make your own pizza" nights from when she was little. Just put out the sauce and any toppings you have available & let them come up with their own "recipe." You can even help them write their recipe on a recipe card and file it with your other recipes!